Location: SW., Section 34, T. 67, R. 19 of the 4 th Meridian, Municipality of Athabasca, Alberta. Prosperity was also known as Grassland. Mykola Cholach donated one acre of land for the church. The church is located 30 km. from Boyle and 48 km. from Athabasca. The Ukrainian settlers started arriving in 1929, but the first service was held in the house of Mykola Cholach in 1936 by Fr. Shopovych, OSBM. Construction of the church (48’ x 20’ x 14’) started in March 1937. Times were very hard but there were 15 willing families to build the church: Andriy Duban, Yakiv Skrypnyk, Hryhoriy Kramar, Mykhaylo Hrycun, Mykola Cholach, Trofym Kuc, Mykola Husiak, Ivan Pysyk, Mykola Rosa, Mykola Bereziuk, Yuriy Chamchuk, Ivan Sheremeta, Zakhar Lubchyk, Dmytro Chamchuk and Mykola Bereziuk. To have a permanent church service, the parishioners also built a residence for the clergy. The 2 acres of land were donated by Mykola Rosa and on November 25, 1949 it was registered under the title: The Ruthenian Greek Catholic Parish of Holy Trinity Prosperity, North Alberta Land registration District No. 240. To build the residence for $5,100.00, the parishioners of Prosperity, and also our faithful from the surrounding areas, donated their money: Boyle $500.00, Frains $150.00, Craigend $100.00. In 1932 Mykola Husak donated 2 acres of land for the cemetery, and Fr. Juvenalis Slota, OSBM, blessed it in 1933. The following Basilian Fathers served the community: Fr. Damascene Popovych, Fr. Josaphat Tymochko, Fr. Methodius Hannas, Fr. Juvenalis Slota, Fr. Paul Hewko, Fr. Ireneus Procenty, Fr. Nicholas Kohut and Fr. John Chinchenko (1949). 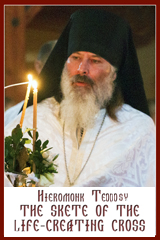 The first permanent resident Eparchial priest was Fr. Bohdan Lozynsky (July 12, 1949-Oct. 2, 1953) followed by Fr. Matthew Pawluk (1953-1964); Fr. Peter Petryshyn (1964-1966), Fr. 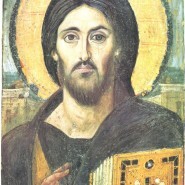 Euthymius Melnychuk from Boyle (1968-1969), Fr. Bohdan Karychek (1971-1978), Fr. John Kratko (1979-1985), Fr. Don Bodnar (1986-1997), Fr. Benny Ambrose (1998-2000), Fr. Stanislav Bjeli (2001-2008), Fr. Don Bodnar (2008- ).